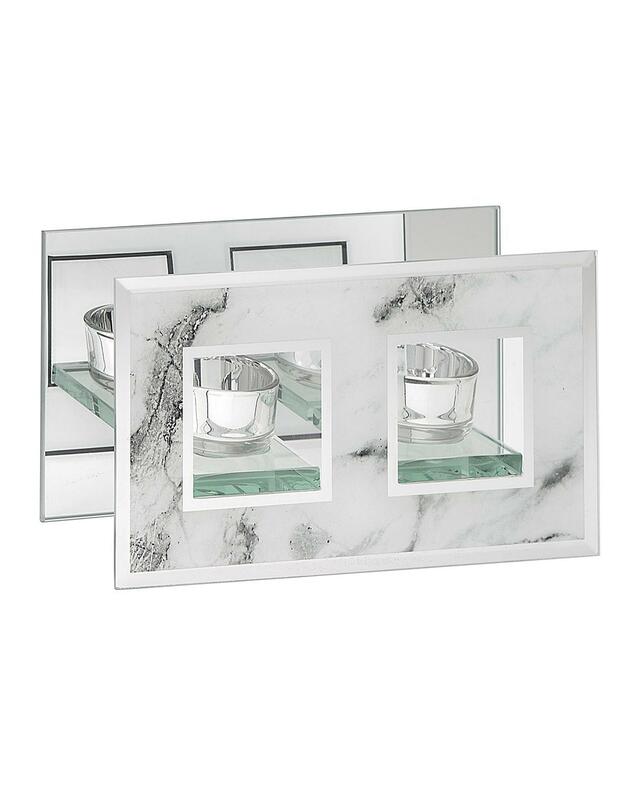 Glass double tealight holder with marble-effect finish. Beautiful unlit and lit. W.11 x H.19 x D.6cm.